Want to make life better for children with cancer? Our United Way agency number is 3175. Our Combined Virginia Campaign number is 03281. Does your employer match your charitable donations? Find out here. 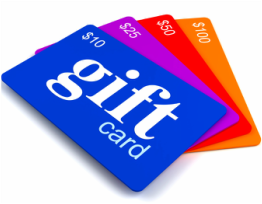 Gift cards help keep our expenses low and do more for our ASK kids and their families. A special snack or fun art project in the waiting room can help pass the time during long clinic visits. 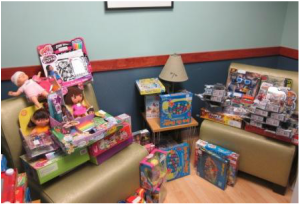 Here is a link to a Wish List of items that we always appreciate, and here is an Amazon Wish List of items that we'd like to supply to the clinic at the new Children's Pavilion. ​The United Way of Greater Richmond and Petersburg empowers people to solve problems facing their communities by mobilizing individuals and workplaces to give to the Community Impact Fund. The Commonwealth of Virginia Campaign (CVC) is the tool that facilitates State Employee workplace giving. It is a voluntary employee charitable giving program, which raises funds for numerous nonprofit health and humanitarian organizations throughout the state of Virginia. Our CVC number is 03281. Does your employer match your charitable donations?